Caribbean is an attractive place for not only vacations but also for medicine studies. To study in medical schools of Caribbean could be a tough experience of one’s life. There are more than 60 medical schools in Caribbean. To choose good med school in Caribbean could be difficult for someone because of high level of competition in all medical schools. It is clear that all schools could not be good in standard except few of them. It is a fact that many medical schools of Caribbean, just want of money without any focus on quality of education. But there are also some schools that are famous for their standard education and producing good doctors. Students who are going to apply in Caribbean med schools should do proper research before applying. It is necessary to pass USMLE board exams for practice in hospitals. These Medical schools prepare their students to pass USMLE. We can evaluate the ranking of these schools on different features, for example features like class size, environment, fees, and availability of rotations (third and fourth years of medical). Which is Best Caribbean Medical School? Saint James School of Medicine was founded in 1999. It offers the 10 semester program which covers the basic sciences and clinical sciences. This school of medicine gives positive learning environment. MCAT is not necessary for admission. In this school of medicine per semester fees is 15,500 dollars (Bonaire campus). Because of its low fees this medicine school is highly reachable to everyone. Class size is increasing day by day which shows that students are interested to get admission in this medical school, but small class size gives you chance to interact with your teachers easily. Availability rotation is important because it shows how third and fourth years will pass. Availability rotations of Saint James School of medicine are good. This school prepares students to pass USMLE. 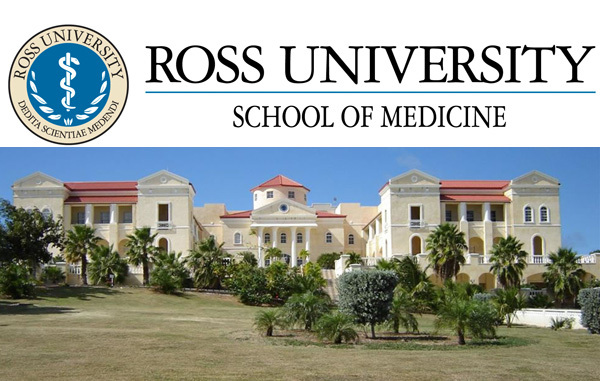 Ross University School of Medicine was founded in 1978. It offers Doctor of Medicine and Doctor of Veterinary Medicine degrees. This university also offers scholarships in order to facilitate students who belong to Dominica. It is clear that low tuition and fees gives chance to get easy education. However tuition and fees of Ross University is high if we compare it with other medicine universities. Total tuition of Ross University is 180,000 dollars. Class size of Ross is nearly 400 to 600. It has the largest class size in all medicine schools that shows that there would be low level of interaction with teachers. It would be your last option if you want to list this university. Availability rotations are fair in this university. This university was established in 1733. It is one of the best medicine schools of Caribbean. This school of medicine is also expensive but it increases your chance to become an able doctor. Like other universities of medicine St. George’s University is also provides students advanced technology and good teaching practices in course. People from all over the world come in this university. These people come with their own cultures, values and lifestyles. So it is difficult to mix up for those who have no experience of living with people who belongs to different cultures. Availability rotations of St. George’s medical school are excellent that is attractive feature of this medical college. Total tuition of this school is high and not reachable to everyone that is 230,000 dollars. High amount of fees increases the chance of debt for students. Class size of this university is 400, which is a large class size, and decreases the chance of interaction with teachers. Saba University School of Medicine Caribbean was established in 1986 it offers degree of Doctor of Medicine. An attractive feature of this university is low tuition, and small class size that is 80 to 100. The total tuition and fees of Saba University is 110,000 dollars. This tuition and fees is easily reachable for students. USMLE pass rate of this university is more than 90%. Availability rotations of this school are fair. Rate of decrease in students is low that is also an attractive element for who wants to get admission in this school. American University of Caribbean was established in 1978. A student achieves the degree of Doctor of Medicine after four years. This school of medicine is also at top in successful schools. Tuition and fees of this medical school is affordable for all students that decrease the chances of debt. Total tuition is 170,000 dollars. Rate of decrease in students is low, an attractive element for students who wants to get admission in this medical school. Class size is small that increases the chances of interaction with teachers and that are 100 to 200. Availability rotations of this school are good. St. Matthew’s University School of Medicine was established in 1996. From this school about 1500 students have graduated. Graduates from this school have permanent license of practice in 40 states of US. Location where this school is situated is also beautiful. Syllabus of this school is based on clinical sciences. Course of this school provides students access to hospitals for better research. Availability rotations of this school of med are good. Class size is small that is important for students, 15 to 20 students for a class. Its tuition is 12,500 dollars per semester that is low and reachable. It also offers degree of Veterinary. Medical University of Americas-Nevis was established in 1998. Graduates from this school got excellent record. USMLE pass rate is 95% that is attractive for those students who want to get admission in Medical University of Americas. MUA focuses on small class size to achieve good standard of education. Class size is 80 to 90. Rate of decrease in students is also low, another attractive element for those who wants to get admission. Tuition and fees of MUA is low, difference is almost half if we compare it with other medical schools. MCAT is important for entrance in MUA. Availability rotations of this school of med are good. This institute is located in a beautiful area that is also easily reachable. This institute was established in 2004. American University of Antigua offers program College of Medicine. The purpose of this institute is to overcome the low number of doctors in US. It gives its students access to the most modern hospital of area. Class size of this institute is small 125 to 150. MCAT is not required to get admission in AUA. Syllabus of AUA is based on US medical schools and college, prepares students for USMLE. Availability rotations of this institute of med are good. Tuition and fees is low as compare to other schools of medicine 17,170 dollars per semester. AUA is recognized by New York State Education Department. Antigua is ideal place to live because it is very beautiful. This institute was established in 2004. Graduates of IAU College of Medicine get degree to pass USMLE and other licensing exams needed for practice US. IAU offers the degree of Doctor of Medicine. Tuition and fees of this institute of med is low so that students could study with focused mind without any fear of debt (9,500 per semester). Availability rotations of this med institute are fair. Class sizes are usually small, gives students chance to interact with their teachers. Scholarships are also given by this college according to the need and performance of students. This institute was established in 2010. It offers undergraduate and postgraduate degrees in medicine, nursing, dentistry and public health. This Institute provides all possible financial aids to students. College also provides hostel facility and safe environment. Tuition and fees, as compare to other medical schools is low and affordable. Availability rotations are good. In medical studies competition is increasing day by day. To study medical study in Caribbean has also been become an attractive option in the world. In fact good students like to get admission in medical schools of Caribbean. In above details I have discussed top ten medical schools of Caribbean on the basis of class size, environment, tuition and fees and other features that are not common in all colleges. St. George’s University, Ross University, Saba and American University are attractive options to get admission for medicine education.